Mind Bytes from My world !!! 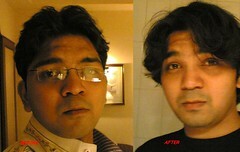 : Before n After Effect !! Before n After Effect !! Mind Bytes feed on your MSN !!! Better LATE then NEVER !! !